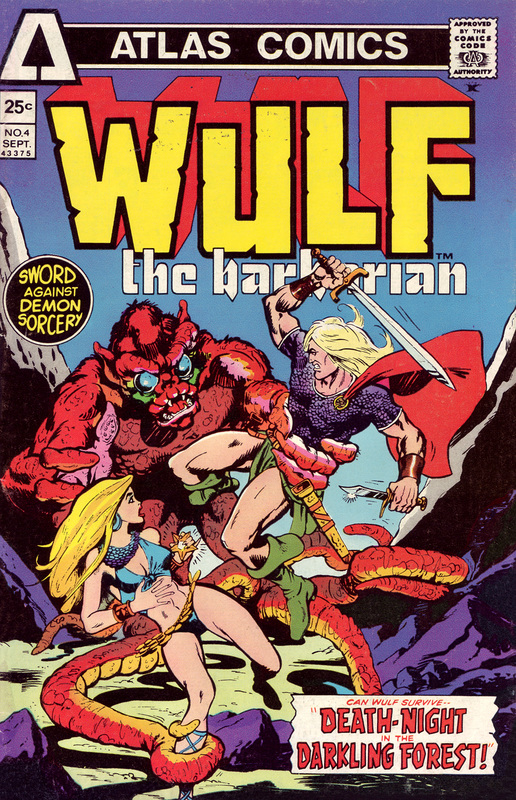 Number #66 is Wulf the Barbarian #4 by Jim Craig. They are a bit obscure now and the line sure didn’t last long but I always loved the Atlas/Seaboard stuff. Colorful+pulpy+kinda goofy=FUN. Come back here tomorrow night for another scan (or two) from the count-down of my Top 100 favorite comic book covers. I suppose it’s a good cover. Though it looks cheesy.